Den här månaden är det tio år sedan Apple släppte App Store till iOS från vilken iPhone-användare kunde ladda hem 500 stycken appar till sina telefoner. "In its first decade, the App Store has surpassed all of our wildest expectations -- from the innovative apps that developers have dreamed up, to the way customers have made apps part of their daily lives -- and this is just the beginning. We could not be more proud of what developers have created and what the next 10 years have in store." Efter det att Apple introducerade App Store har även företag som till exempel Google och Microsoft tagit efter Apple och öppnat egna app-butiker till Android och Windows. The App Store is a digital distribution platform, developed and maintained by Apple Inc., for mobile apps on its iOS operating system. The store allows users to browse and download apps developed with Apple's iOS software development kit. Apps can be downloaded on the iPhone smartphone, the iPod Touch handheld computer, or the iPad tablet computer, and some can be transferred to the Apple Watch smartwatch or 4th-generation or newer Apple TVs as extensions of iPhone apps. 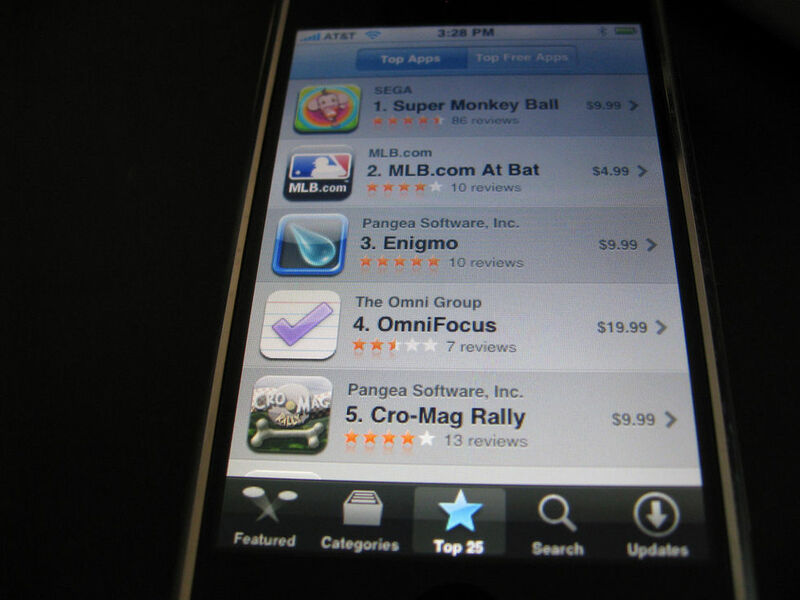 The App Store was opened on July 10, 2008, with an initial 500 applications available. As of 2017, the store features over 2.1 million apps. Längtar vi inte efter App Store? Hur många har du laddat ner?